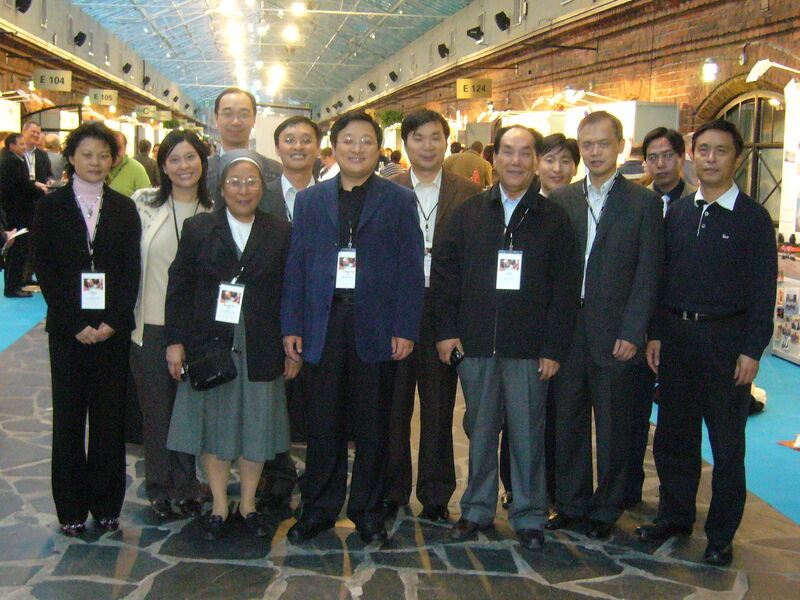 On 12th August 2008, Sister Margaret Wong and Mr. SW Law were invited by Microsoft Research Asia to join the 10th Anniversary Innovation Forum with Bill Gates on “Innovating for the Next Decade” in the Hong Kong Convention & Exhibition Centre. In the forum, Mr. Bill Gates shared his vision for the role of Microsoft Research Asia in putting the Greater China Region at centre-stage in driving innovation worldwide. 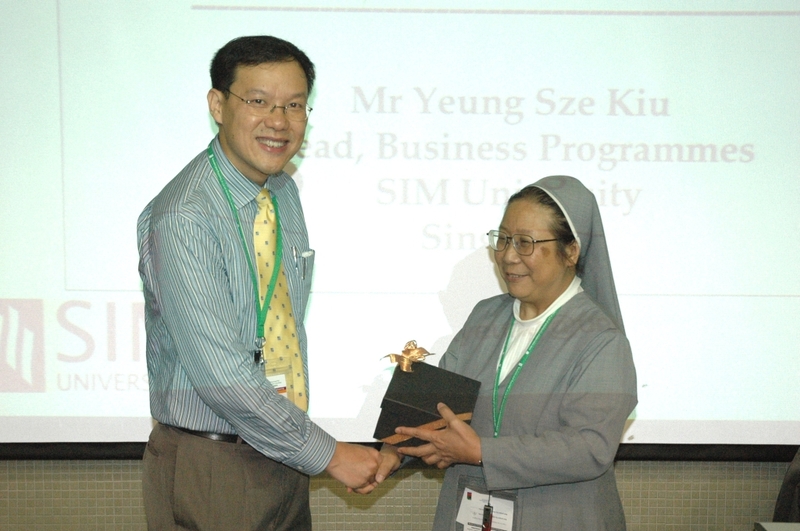 On our Digital Day on 8th July 2008, Professor Yeung Sze Kiu from SIM University in Singapore gave our staff a talk on digital media technology for video and audio production by using currently available tools. He demonstrated some digital media applications in video filming and production and how these may enhance e-learning development. 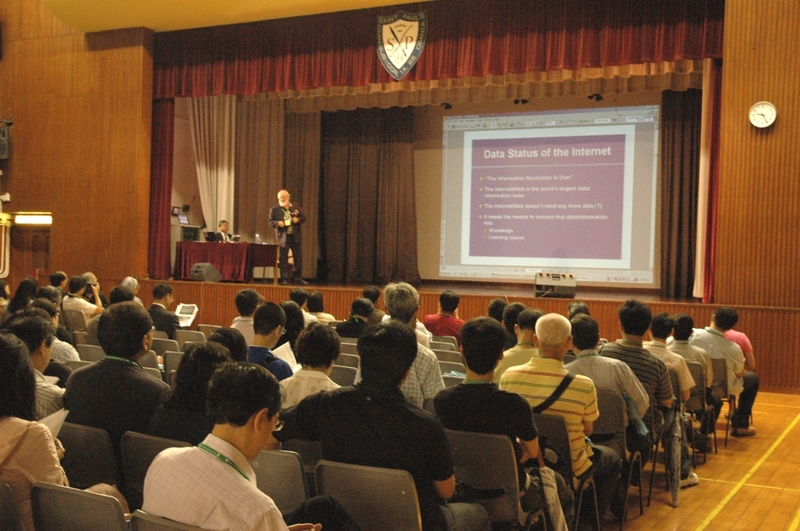 The 2008 ICT Conference on Teaching and Learning organized by the Open University of Hong Kong (OUHK) and the Hong Kong Web Symposium Consortium was hosted by the OUHK (7th July) and our school (8th July) together with our Digital Day. 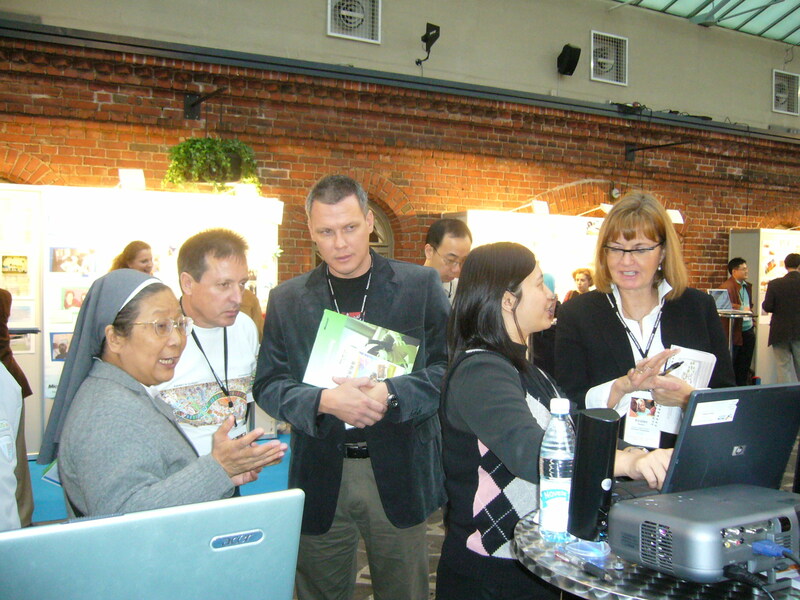 This year the theme of the conference was "Technology-enriched Learning Spaces". 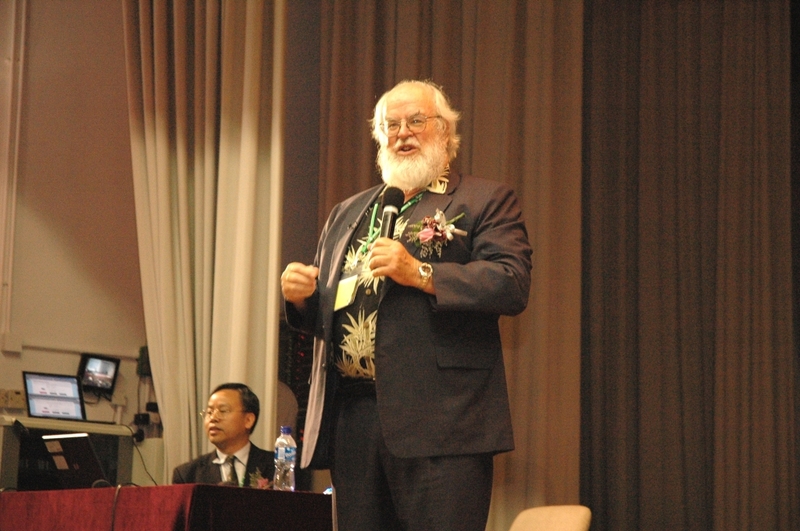 The focus was on emerging mobile learning technologies in learning and teaching. With the presence of the honourable guests, Dr. Dixon Wong, Head of School of Modern Languages and Cultures in the University of Hong Kong, Mr. Zhang Si Ming, Vice-principal of Peking University Affiliated Middle School and Mr. Li Ke Feng, teacher of Peking University Affiliated Middle School, the Parent Teacher Association Dinner was successfully held on 4 July 2008 when more than 200 participants, filling up 18 tables, enjoyed the good meal and inspiring talk on "30 Years of China Reform and Opening Up" by Mr. Li Ke Feng. On 18-6-2008 teachers responsible for the PDS project held an evaluation sharing session with the partner schools in the Humanities Room. Together they reviewed the items that have been accomplished during the year. On 20-6-2008 another session was held with the focus on planning ahead for the coming year. 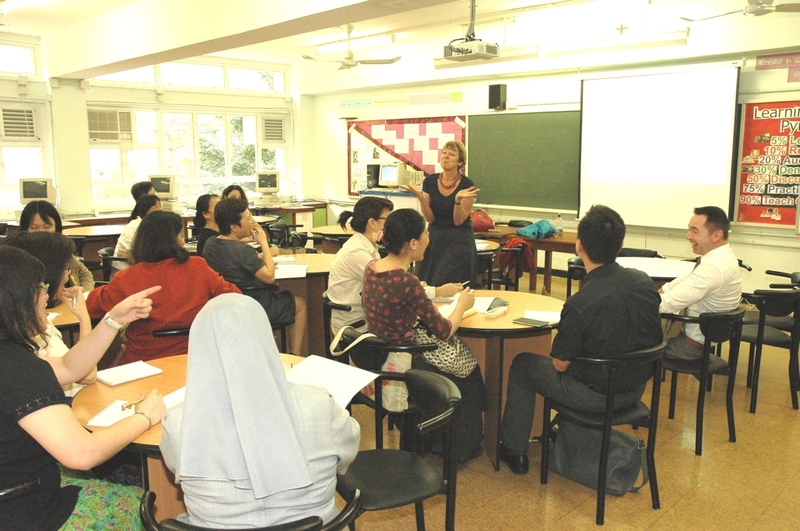 Our English Department was honoured to have Mrs. Anne Renn, an experienced English teacher from Gumley House Convent School, UK to run several workshops from the 11th to 20th June 2008. The workshops covered creative writing, analyzing poetry, media studies, drama and IGCSE English. These workshops were insightful and added to the English teachers’ preparation for the upcoming new Hong Kong secondary school syllabus. On 4th-6th June, 2008 six teachers from our school joined the Professional Development Course on Catholic values in NSS Liberal Studies in the campus of the Chinese University of Hong Kong. Professor Peta Goldburg from Australian Catholic University was invited to conduct this three-day course for the teachers. 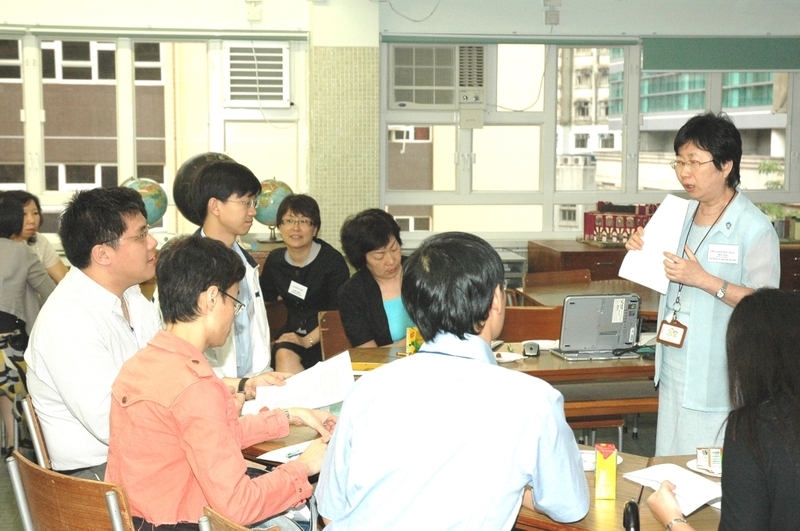 After giving us a talk in curriculum reform, Mr. Wong Ho Chiu was invited to conduct lesson observations for Chinese Language teachers in May. 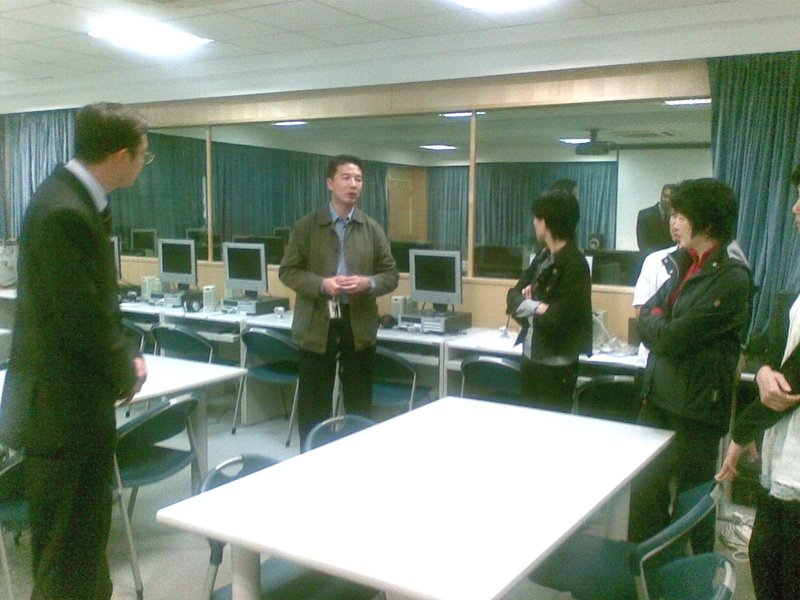 Before the lesson observation, teachers had a preparation meeting with Mr. Wong on 16th April 2008. As the Centre of Excellence in IT in Education, our school is always ready to share our experience with other schools. On 2nd April 2008, some teachers from QualiEd College came visit our school to see how we make use of IT to enhance teaching and learning. 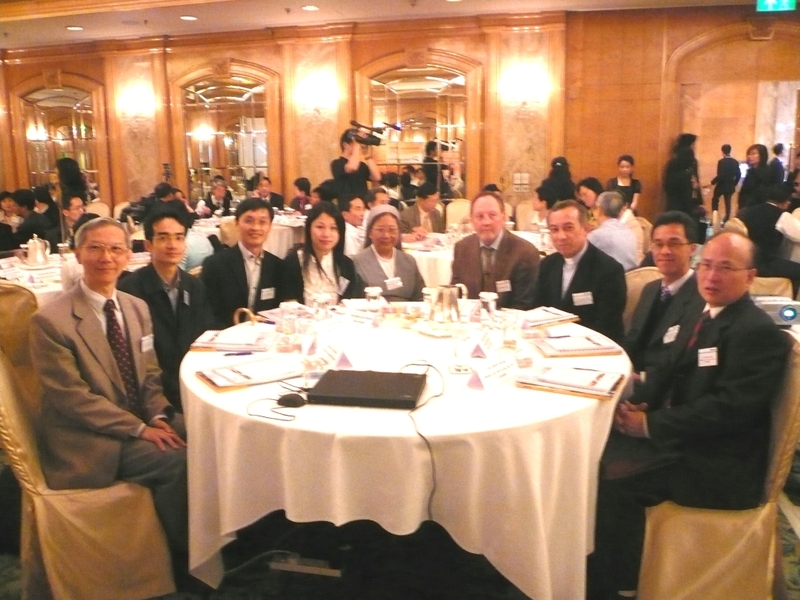 on "Organizational Learning Leading to Effective Learning Communities"
On 31st March to 1st April 2008 Sister Margaret Wong and Mr. S. W. Law joined a 2-day workshop co-organized by the Education Bureau and the Microsoft at Regal Hong Kong Hotel. 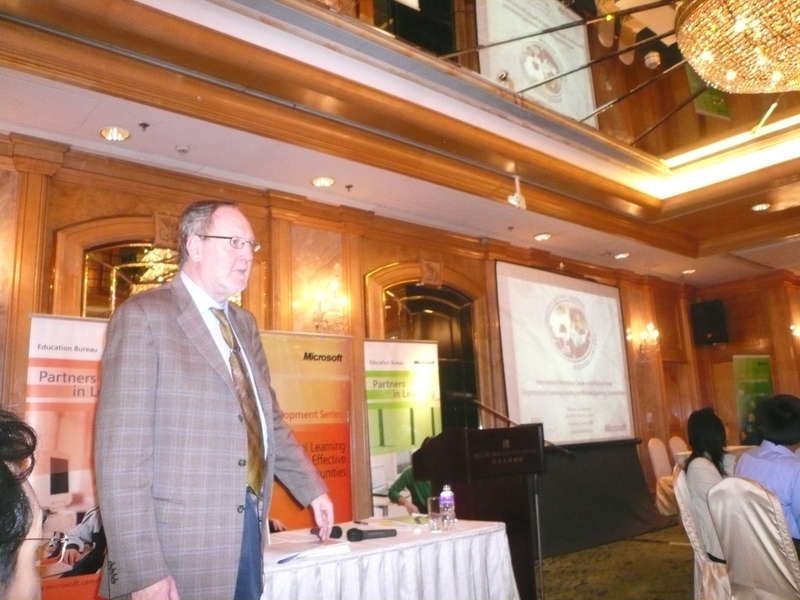 The workshop was conducted by Professor Michael Fullan with an aim to introduce the concept of Organizational Learning and the building of learning community inside and among schools. This enables the school to build an effective learning community to allow sharing of experience through a systematic sharing mechanism to achieve mutual professional growth. Two of our teachers attended the "National Education : Aerospace Technology Rocket Model Building Trainers' Course" (國情教育:航天模型火箭製作導師培訓課程) in Guangzhou from 24 March – 26 March 2008. Both of them had passed the written and practical assessments offered by the General Administration of Sports of China (中國國家體育總局) and were recognized as Qualified Trainers for Aerospace Technology Education (航天科技教育) and Rocket Model Building and Launching in Hong Kong. Congratulations to the teachers! 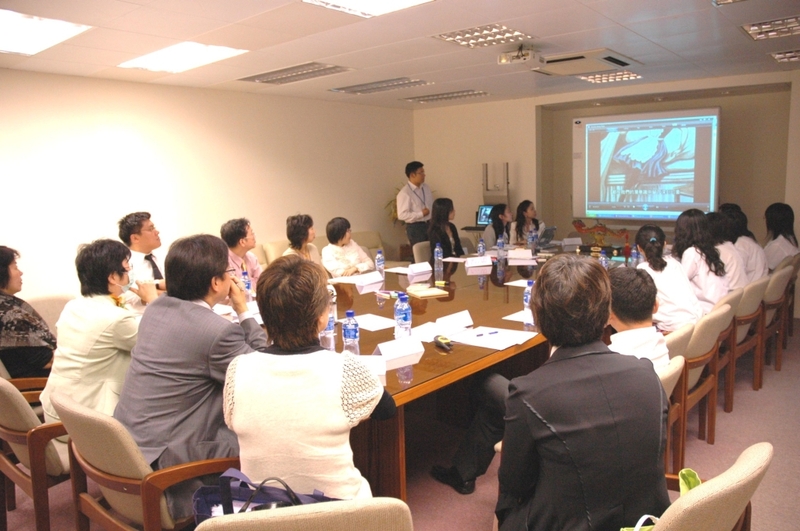 On 14th March 2008 some teachers joined a workshop on IWB conducted by Miss Cecilia Tsang, the Teaching and Learning Consultant from the Promethean. The teachers presented their flipcharts there for comment. They all got their Level One Certificates and two teachers will continued their Level Two online course in June. 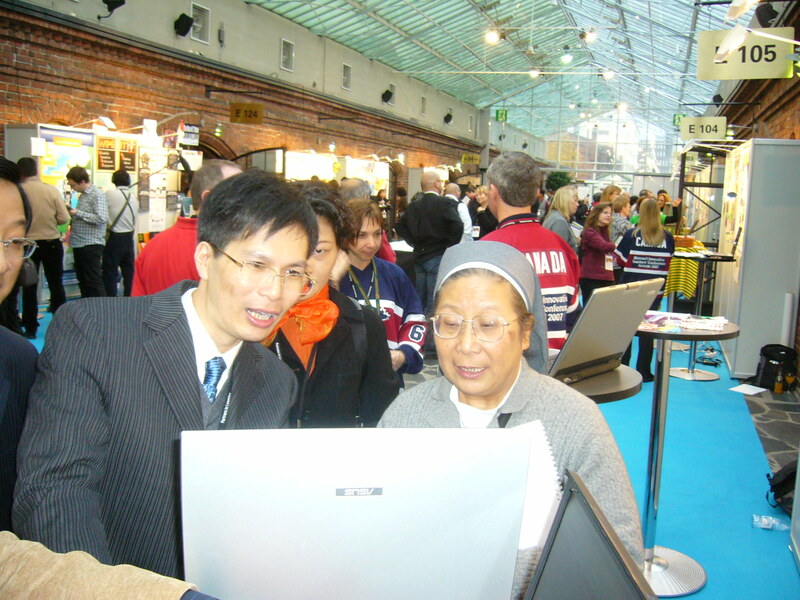 On 5th March 2008 our colleague Mrs. 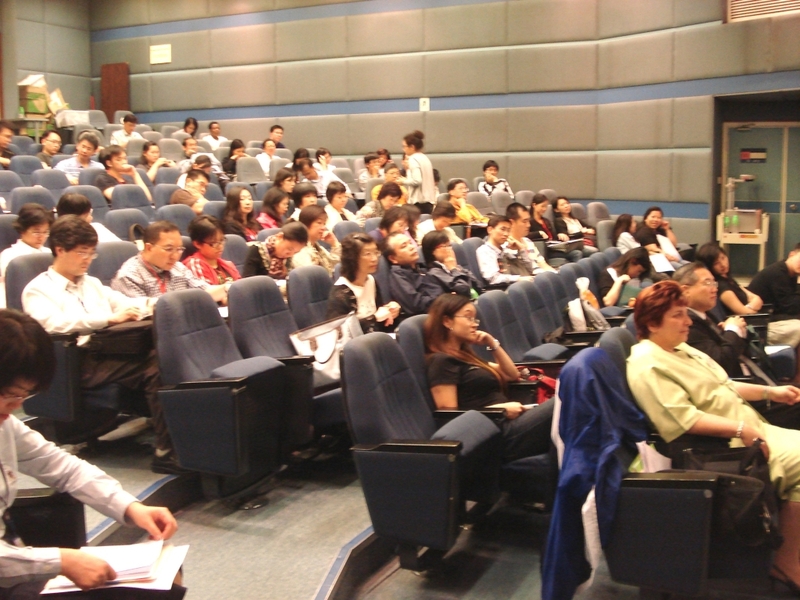 A.M. Law conducted a workshop to introduce the Learning to Learn programme to our teachers. It is a three-year programme, with 60 hours of classroom lessons for each of the three years. The Programme focuses on building independent learning habit of students. It is written to develop students’ knowledge, attributes and skills as a learner. 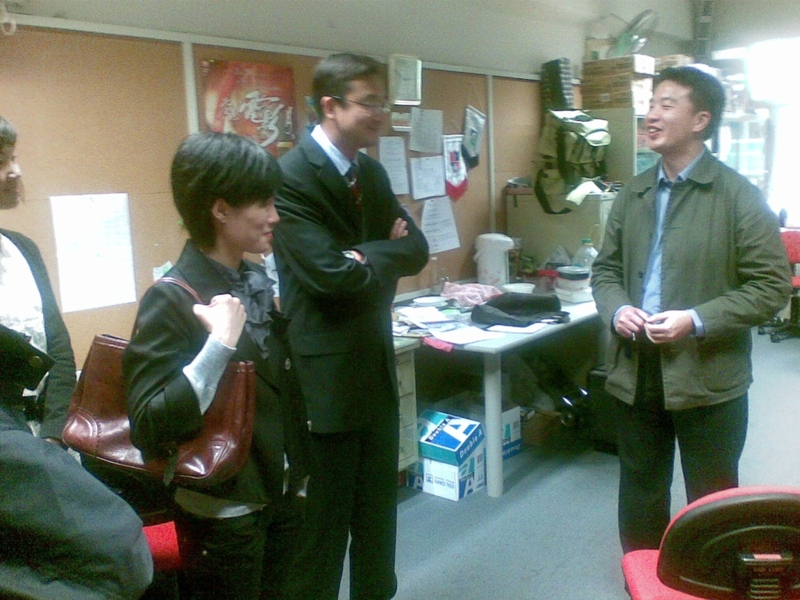 On 28th January 2008, Mr. Gavin Dykes, Associate Director of the Innovative Unit of the Department for Education and Skills of the United Kingdom came to visit our school. 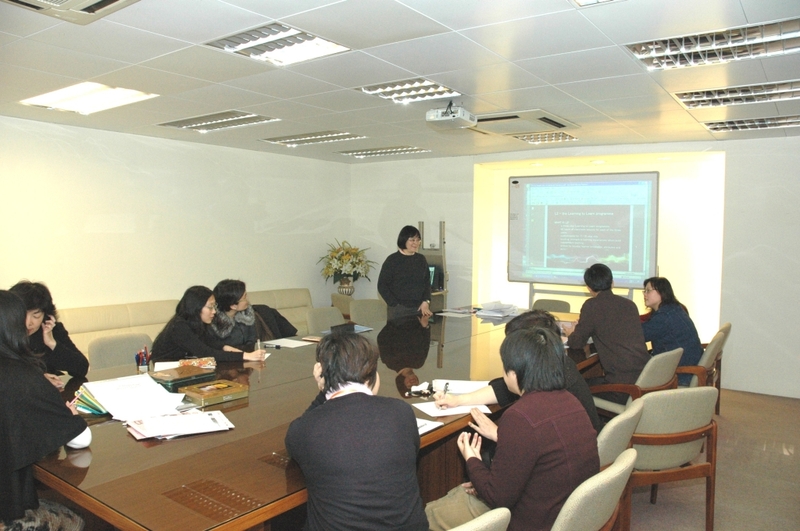 He introduced to the teachers the pilot programme of cohort based professional doctorate. 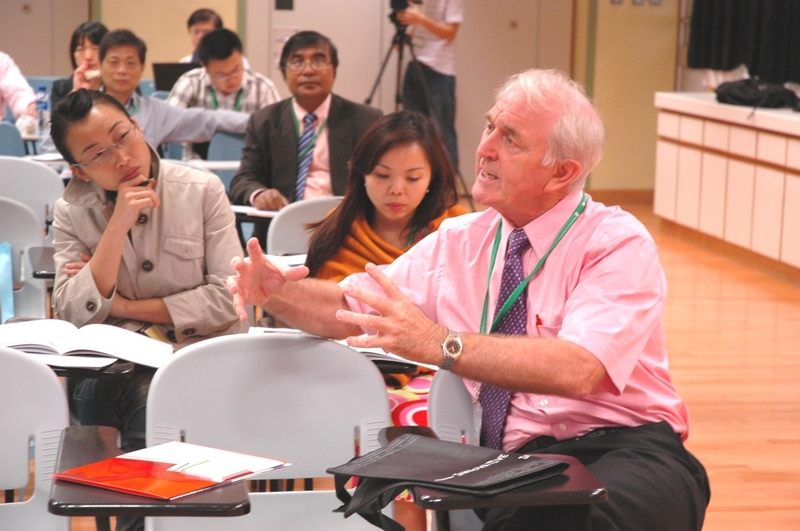 The programme was proposed by Professor Stephen Heppell as he sees the need for an evolution in the professional development of teachers to support the greater level of reflection and iteration in evolving teachers’ practice. Mr SW Law was invited by the EDB to share our school experiences on how to infuse Habits of Mind across the curriculum to a group of local principals and teachers. 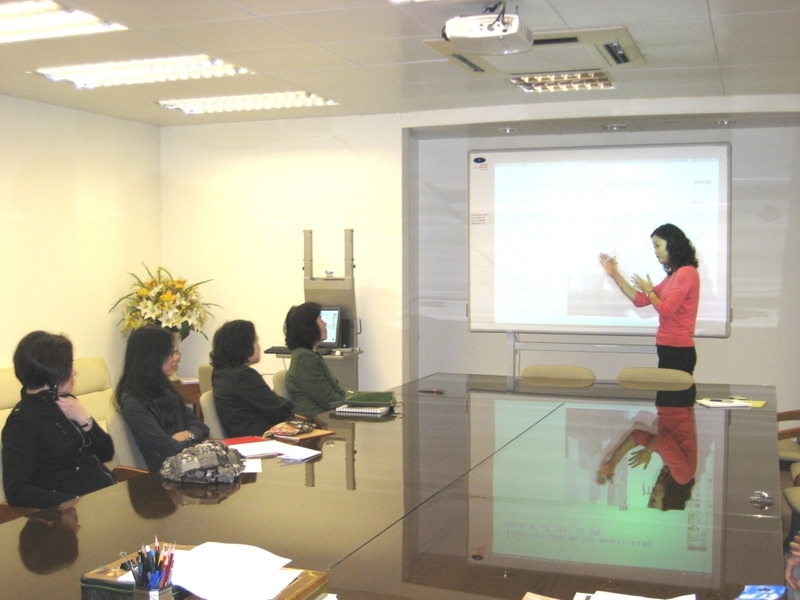 Five of our teachers also joined the 3 days HOM seminars conducted by Professor A. Costa from 12 Dec to 14 Dec 2007. Since our school has become an Edexcel Centre for the IGCSE, some of our teachers attended an administration training session on 6th November 2007. The training aimed at helping teachers to familiarize with the administrative procedures involved in the IGCSE. 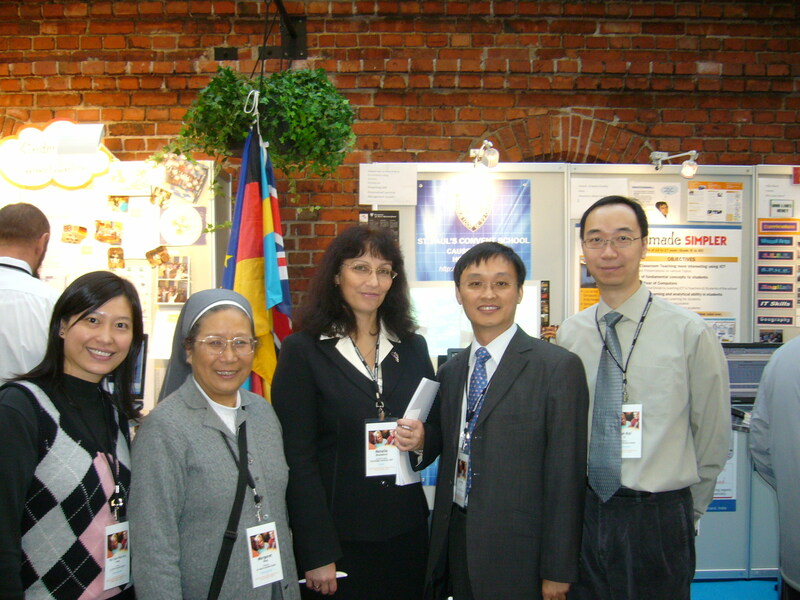 Sister Margaret Wong and 3 teachers attended the Worldwide Innovative Teachers Forum and School of the Future World Summit 2007 from 26th October to 1st November 2007 organized by the Microsoft Corporation in Helsinki, Finland. The event brought together innovative teachers and policy makers from around the world to share best practices and talk about the role that ICT can play in education. Besides, it also showcased new methods and ideas in education and the role technology plays in making education a positive impact for future economies. It is a fruitful tour. 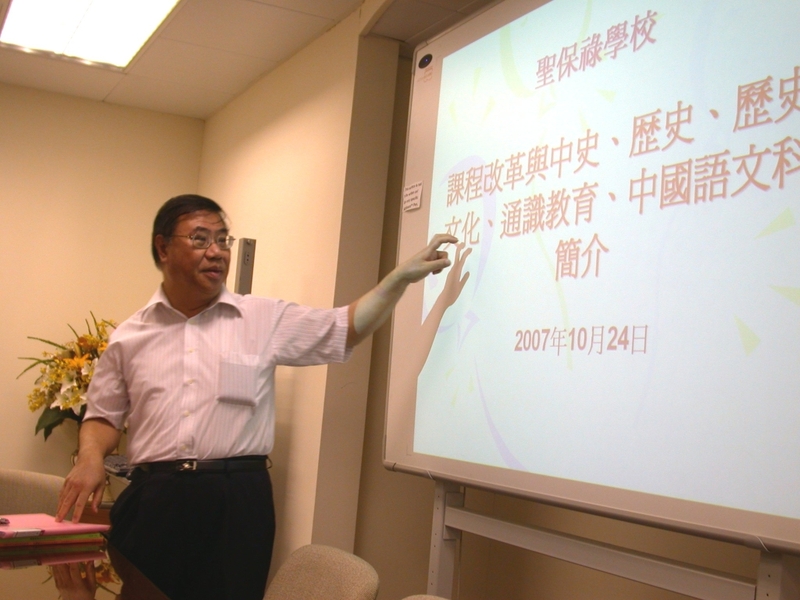 To keep in pace with the curriculum reform, we invited Mr. Wong Ho Chiu to give a talk for teachers from Chinese, Chinese History, History and Liberal Studies departments on 24th October 2007. Since the designation by the Education Bureau as a Professional Development School, our school has worked very closely with the three partner schools to promote the use of multi-media to enhance effective teaching and learning. 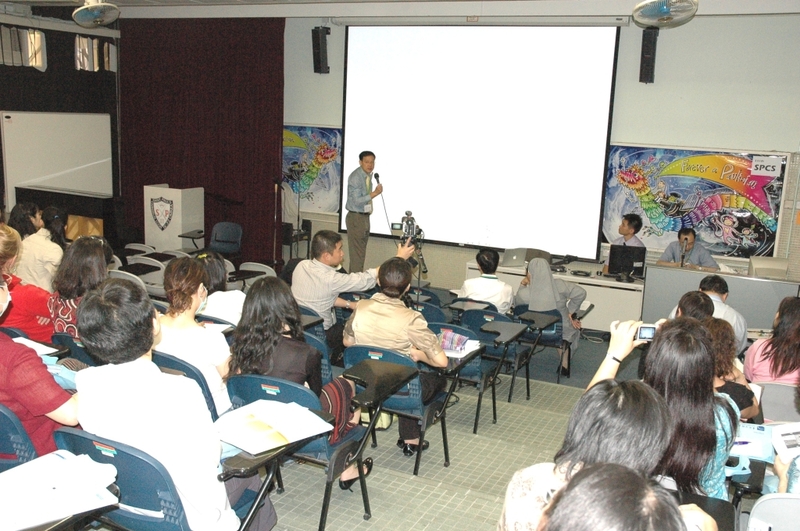 On 31st October 2007 our school organized a sharing session with the partner schools. 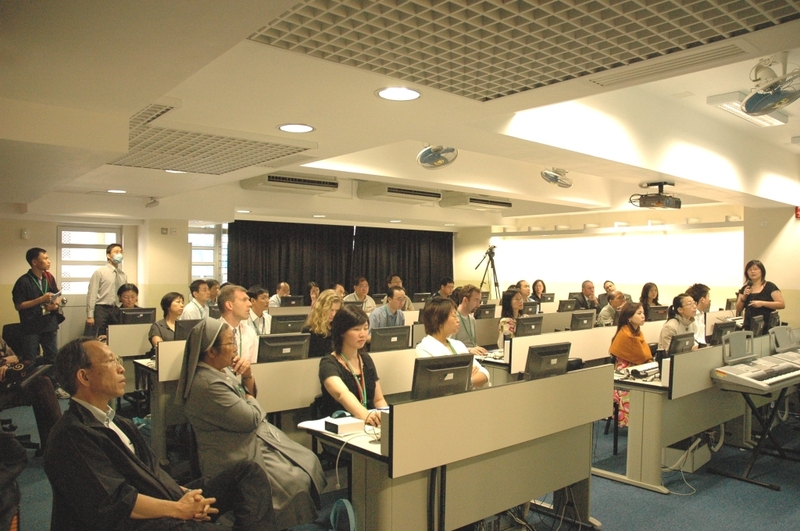 Teachers coming from St. Mark’s School, Marymount Secondary School and Cheung Chuk Shan College have attended and shared on aspects like curriculum planning, learning-teaching strategies and indicators for assessment for learning. 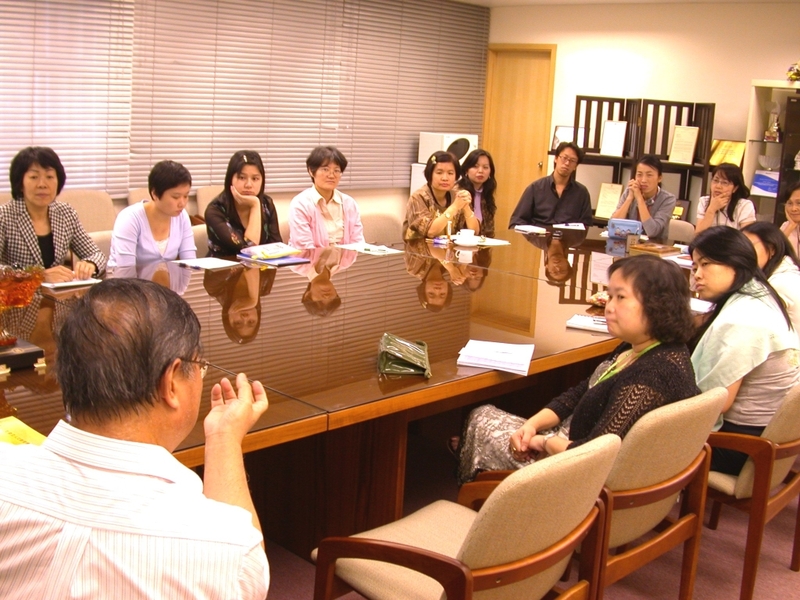 In order to improve students’ language learning, the Chinese department arranged a staff development session on 10th October 2007 for the Chinese teachers. The department has invited Mrs. P.Y. Yip from the Language Learning Support Section of the Education Bureau to share the ways that can be employed to enhance students’ language proficiency. 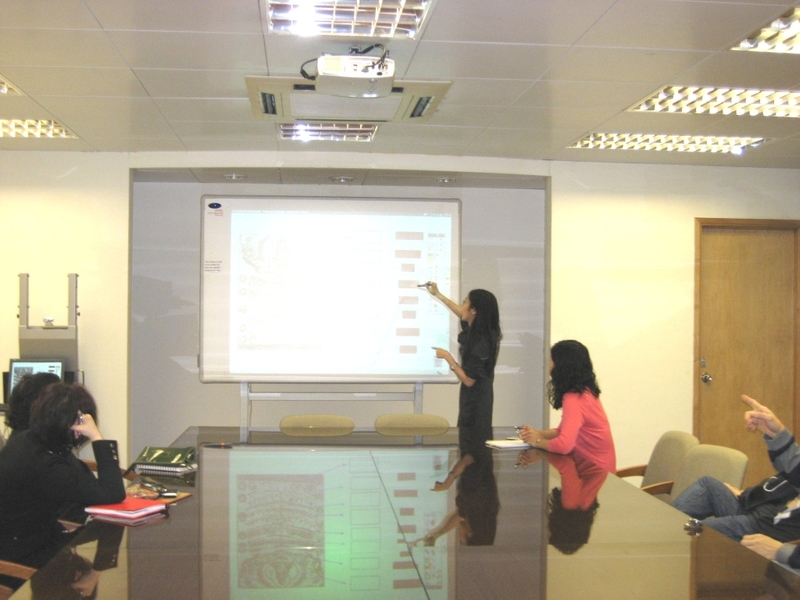 Our teachers have definitely benefited much from her valuable experience.